Good morning. 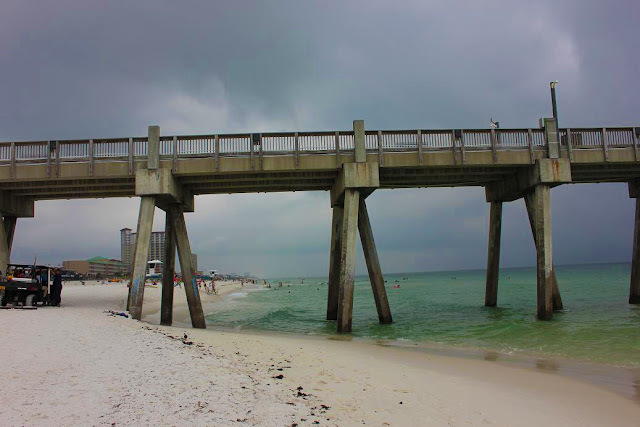 It is raining out here at Pensacola Beach today. I only got to take pictures and video of the Cross and the Pier. 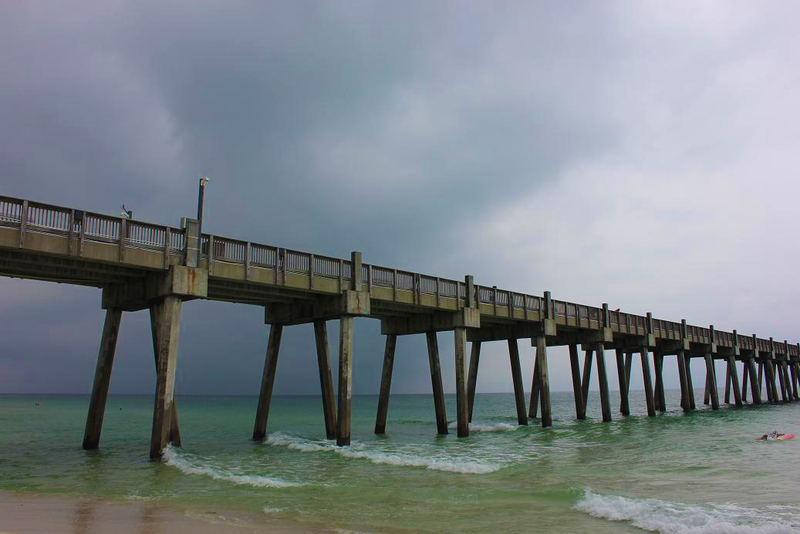 There is tons and tons of rain to the East of Pensacola Beach. The surf… well we have a little swell at the Pier. It’s running shin high and ever so often a knee high wave comes through. The cross was flat but you could see that the sets coming in. The wind is blowing out of the North at 7-8 mph causing for glassy conditions and the air temperature is 80 degrees. The good news is that I didn’t see any lightning while I was out there. Tide is going out for the rest of the day so maybe that will help us. We can wish right? We will give you another report this afternoon. Have a great Tuesday.